1) What are your own origins, Kevin? I was born in a small town in Maine (same State as Stephen King) called Houlton. I went to the University of Maine as a Speech Communications major, and also attended the New England School of Communications and studied writing with "The Long ridge Writers Group" and "Writers Boot Camp" in Los Angeles. 2) What inspired you to create your comic book, ‘Karl Vincent: Vampire Hunter’? When I was a young boy I created my own comic book universe. I was about 12 years old, and created characters like "The Crimson Crusher" (my universes answer to the "Hulk") and "Powerhouse" (my universes answer to "Superman") and I've always wanted to write both novels and comic books. 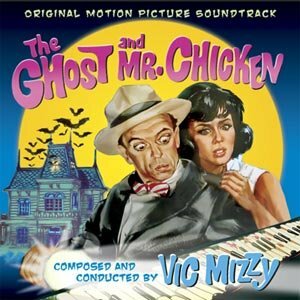 With Karl Vincent, I was watching an old Don Knotts movie called "The Ghost and Mr. Chicken", and the thought came to mind "What if Don Knotts were a Vampire Hunter?". In a flash, I committed this idea to paper, and developed the character to look like myself. Other influences included the old "Night Stalker" TV series with Darrin McGavin, and the original "Fright Night" movies with Roddy McDowell and William Ragsdale. 3) Can you briefly tell us what this comic is all about? Karl Vincent is a reluctant vampire hunter / detective that became convinced of the reality of nosferatu. When he decided to hunt these sinister creatures of the night, eventually, he lost everything: his job, his family, his self respect, and his wife Barbara thinks he's crazy and wants a divorce. His oldest son, Keith, won't talk to him at all anymore since he announced to Keith's class on career day that he was going to quit his job to hunt vampires. Meanwhile, in another part of the plot, Karl's arch-nemesis is a vampire named Sebastian Vasilis. Sebastian is actually Radu Cel Frumos, the brother of Vlad Tepes, Dracula. In "Last Rites" Sebastian is already dead. He comes back in the form of a ghost to warn Karl of a conspiracy of vampires to take over the earth. 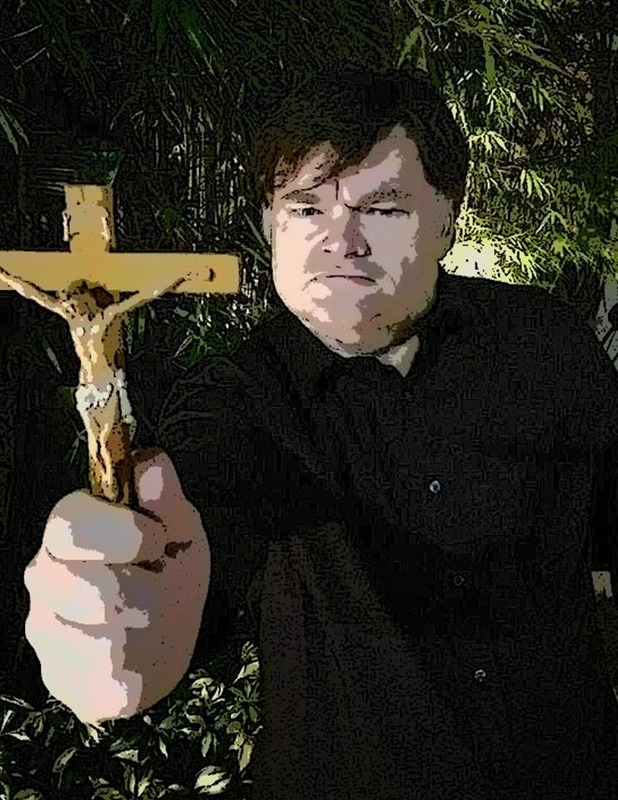 Karl must prevent the resurrection of the deadliest vampire demi-gods in history: The Hebrew Lilith, The Egyptian Sekhmet, and the Hindu Kali. 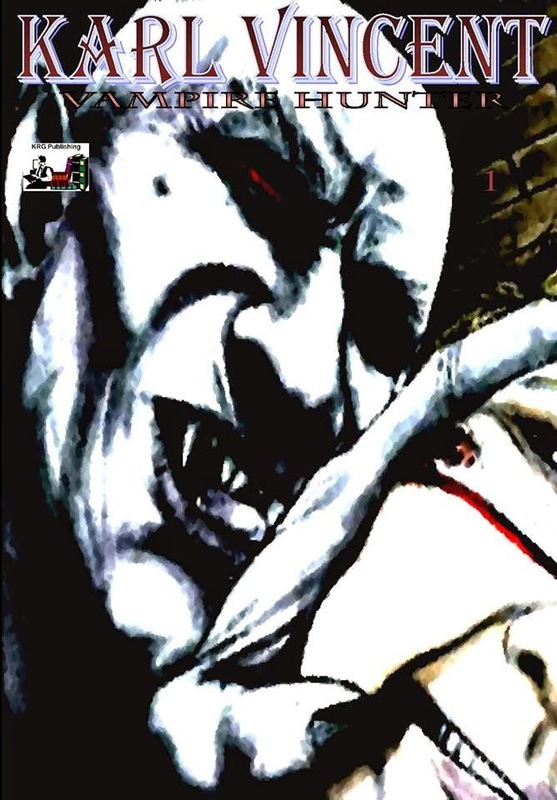 The first 6 issues of the comic book adapt the novel, "Last Rites: The Return of Sebastian Vasilis ", and we are currently working on the 7th issue which will begin the adaptation of the novel, "Foul Blood", which tells the origin of Karl Vincent and how he became a vampire hunter. It is a prequel to "Last Rites". 4) What song would you say best represents your story and why? I guess, the song that best represents my story would be "Lost in the Echo" by Linkin Park, because it's about overcoming obstacles and adversaries. 5) If you could get a celebrity – either living or dead – to promote your wares, who would you choose, and why would you want to choose this particular person? I would like to see Robert Downey Junior involved in promotion because I think he would make a cool Sebastian Vasilis, though we have an awesome Sebastian for our movie in Luis Antonio Howard. 6) What have you learnt about yourself through this endeavour? And were their any unforeseen obstacles you had to contend with along the way? I have learned that I love writing during this endeavor, especially the novels. I can't wait to be able to do nothing but write, burning the midnight oils to create the next novel, "Dracula Rising" (working title), which will reveal something personal between Karl and Sebastian. Every good protagonist-antagonist relationship has something that links the characters. Batman and The Joker both suffer from the same psychosis. Bruce Banner is dating the daughter of the man that's trying to destroy his alter ego (The Hulk). And Karl will learn something that links him to Sebastian which will change his life forever. I do want to add a couple of developments though. The movie of "Last Rites: The Return of Sebastian Vasilis" is in pre-production right now and scheduled to go into production sometime in June from Crisp Film Works. 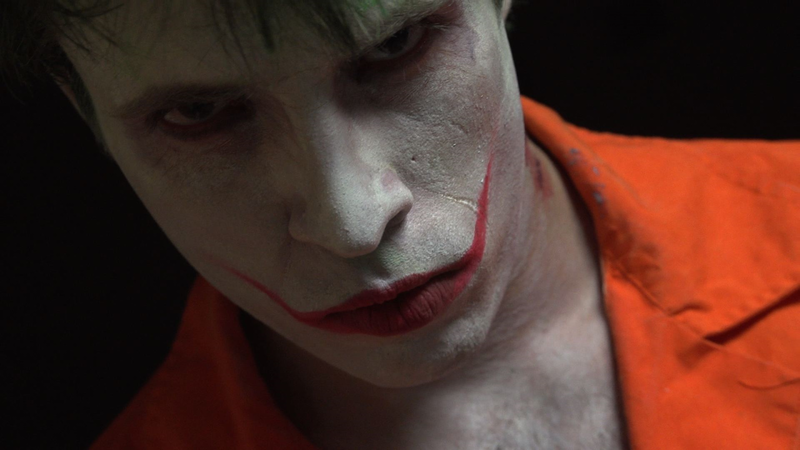 I wrote the screenplay while studying with "Writers Boot Camp" in L.A.
Also, a two minute trailer I wrote suggesting a "Karl Vincent meets Batman" crossover called "The Joker: I Vampire" has been made by "Smoking Alien" productions, whom also made the fan film "Joker Rising", using the same actor that played the Joker in their film. I hope to present this trailer to DC Comics and get a crossover going on with Karl and Batman. Wow! Doesn't that look awesome? So in the meantime please check out Kevins other social media outlets for any updates, like his two facebook pages dedicated to ‘Karl Vincent: Vampire Hunter' and 'Last Rites'. Click-Click. You know it makes sense.